The looming threat of World War III, a potential extermination event for the human species, is made more likely because the world’s public can’t count on supposedly objective experts to ascertain and evaluate facts. Instead, careerism is the order of the day among journalists, intelligence analysts and international monitors – meaning that almost no one who might normally be relied on to tell the truth can be trusted. The dangerous reality is that this careerism, which often is expressed by a smug certainty about whatever the prevailing groupthink is, pervades not just the political world, where lies seem to be the common currency, but also the worlds of journalism, intelligence and international oversight, including United Nations agencies that are often granted greater credibility because they are perceived as less beholden to specific governments but in reality have become deeply corrupted, too. In other words, many professionals who are counted on for digging out the facts and speaking truth to power have sold themselves to those same powerful interests in order to keep high-paying jobs and to not get tossed out onto the street. Many of these self-aggrandizing professionals – caught up in the many accouterments of success – don’t even seem to recognize how far they’ve drifted from principled professionalism. A good example was Saturday night’s spectacle of national journalists preening in their tuxedos and gowns at the White House Correspondents Dinner, sporting First Amendment pins as if they were some brave victims of persecution. They seemed oblivious to how removed they are from Middle America and how unlikely any of them would risk their careers by challenging one of the Establishment’s favored groupthinks. Instead, these national journalists take easy shots at President Trump’s buffoonish behavior and his serial falsehoods — and count themselves as endangered heroes for the effort. Ironically, though, these pompous journalists gave Trump what was arguably his best moment in his first 100 days by serving as foils for the President as he traveled to Harrisburg, Pennsylvania, on Saturday and basked in the adulation of blue-collar Americans who view the mainstream media as just one more appendage of a corrupt ruling elite. Breaking with tradition by snubbing the annual press gala, Trump delighted the Harrisburg crowd by saying: “A large group of Hollywood celebrities and Washington media are consoling each other in a hotel ballroom” and adding: “I could not possibly be more thrilled than to be more than 100 miles away from [the] Washington swamp … with much, much better people.” The crowd booed references to the elites and cheered Trump’s choice to be with the common folk. Trump’s rejection of the dinner and his frequent criticism of the mainstream media brought a defensive response from Jeff Mason, president of the White House Correspondents’ Association, who complained: “We are not fake news. We are not failing news organizations. And we are not the enemy of the American people.” That brought the black-tie-and-gown gathering to its feet in a standing ovation. 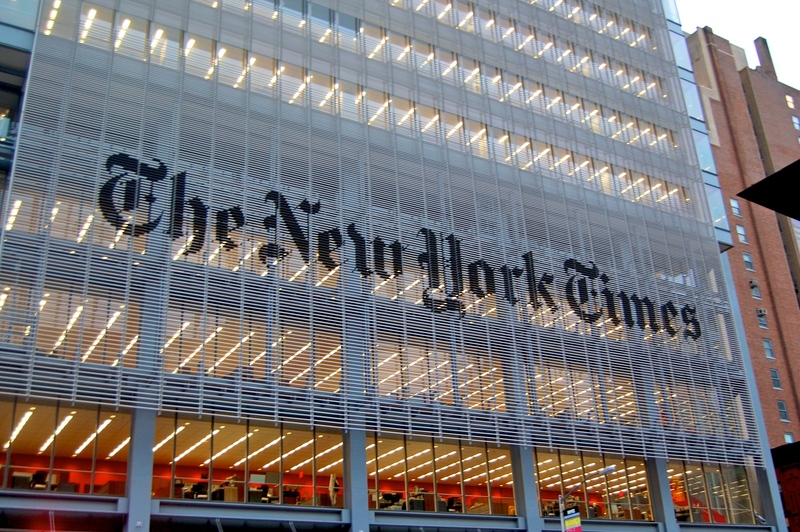 Perhaps the assembled media elite had forgotten that it was the mainstream U.S. media – particularly The Washington Post and The New York Times – that popularized the phrase “fake news” and directed it blunderbuss-style not only at the few Web sites that intentionally invent stories to increase their clicks but at independent-minded journalism outlets that have dared question the elite’s groupthinks on issues of war, peace and globalization. Professional journalistic skepticism toward official claims by the U.S. government — what you should expect from reporters — became conflated with “fake news.” The Post even gave front-page attention to an anonymous group called PropOrNot that published a black list of 200 Internet sites, including Consortiumnews.com and other independent-minded journalism sites, to be shunned. But the mainstream media stars didn’t like it when Trump began throwing the “fake news” slur back at them. Thus, the First Amendment lapel pins and the standing ovation for Jeff Mason’s repudiation of the “fake news” label. Yet, as the glitzy White House Correspondents Dinner demonstrated, mainstream journalists get the goodies of prestige and money while the real truth-tellers are almost always outspent, outgunned and cast out of the mainstream. Indeed, this dwindling band of honest people who are both knowledgeable and in position to expose unpleasant truths is often under mainstream attack, sometimes for unrelated personal failings and other times just for rubbing the powers-that-be the wrong way. Not only did the supposed American “gold standard” for assessing information – the U.S. political, media and intelligence structure – fail miserably in the face of fraudulent claims often from self-interested Iraqi opposition figures and their neoconservative American backers, but there was minimal accountability afterwards for the “professionals” who failed to protect the public from lies and deceptions. Indeed, many of the main culprits remain “respected” members of the journalistic establishment. For instance, The New York Times’ Pentagon correspondent Michael R. Gordon, who was the lead writer on the infamous “aluminum tubes for nuclear centrifuges” story which got the ball rolling for the Bush administration’s rollout of its invade-Iraq advertising campaign in September 2002, still covers national security for the Times – and still serves as a conveyor belt for U.S. government propaganda. 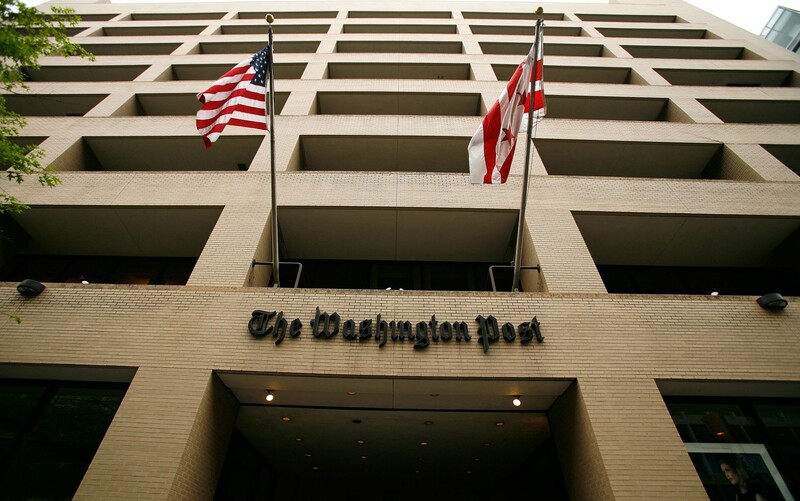 The Washington Post’s editorial page editor Fred Hiatt, who repeatedly informed the Post’s readers that Iraq’s secret possession of WMD was a “flat-fact,” is still the Post’s editorial page editor, one of the most influential positions in American journalism. Hiatt’s editorial page led a years-long assault on the character of former U.S. Ambassador Joseph Wilson for the offense of debunking one of President George W. Bush’s claims about Iraq seeking yellowcake uranium from Niger. Wilson had alerted the CIA to the bogus claim before the invasion of Iraq and went public with the news afterwards, but the Post treated Wilson as the real culprit, dismissing him as “a blowhard” and trivializing the Bush administration’s destruction of his wife’s CIA career by outing her (Valerie Plame) in order to discredit Wilson’s Niger investigation. At the end of the Post’s savaging of Wilson’s reputation and in the wake of the newspaper’s accessory role in destroying Plame’s career, Wilson and Plame decamped from Washington to New Mexico. Meanwhile, Hiatt never suffered a whit – and remains a “respected” Washington media figure to this day. The lesson that any careerist would draw from the Iraq case is that there is almost no downside risk in running with the pack on a national security issue. Even if you’re horrifically wrong — even if you contribute to the deaths of some 4,500 U.S. soldiers and hundreds of thousands of Iraqis — your paycheck is almost surely safe. The same holds true if you work for an international agency that is responsible for monitoring issues like chemical weapons. Again, the Iraq example offers a good case study. 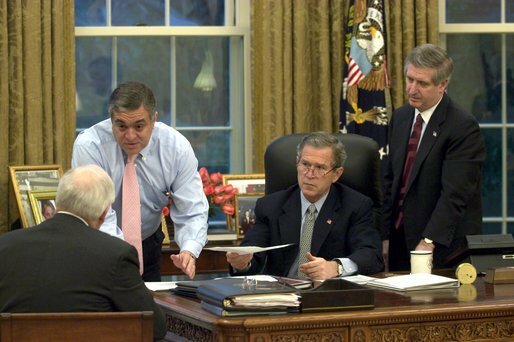 In April 2002, as President Bush was clearing away the few obstacles to his Iraq invasion plans, Jose Mauricio Bustani, the head of the Organization for the Prohibition of Chemical Weapons [OPCW], sought to persuade Iraq to join the Chemical Weapons Convention so inspectors could verify Iraq’s claims that it had destroyed its stockpiles. 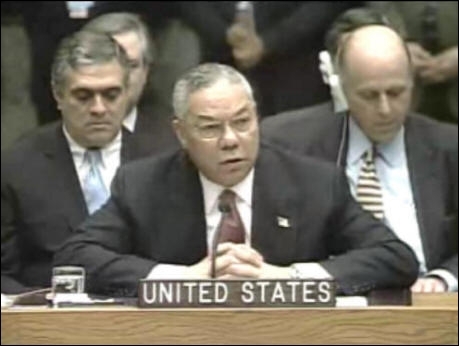 The Bush administration called that idea an “ill-considered initiative” – after all, it could have stripped away the preferred propaganda rationale for the invasion if the OPCW verified that Iraq had destroyed its chemical weapons. So, Bush’s Undersecretary of State for Arms Control John Bolton, a neocon advocate for the invasion Iraq, pushed to have Bustani deposed. The Bush administration threatened to withhold dues to the OPCW if Bustani, a Brazilian diplomat, remained. It now appears obvious that Bush and Bolton viewed Bustani’s real offense as interfering with their invasion scheme, but Bustani was ultimately taken down over accusations of mismanagement, although he was only a year into a new five-year term after having been reelected unanimously. The OPCW member states chose to sacrifice Bustani to save the organization from the loss of U.S. funds, but – in so doing – they compromised its integrity, making it just another agency that would bend to big-power pressure. 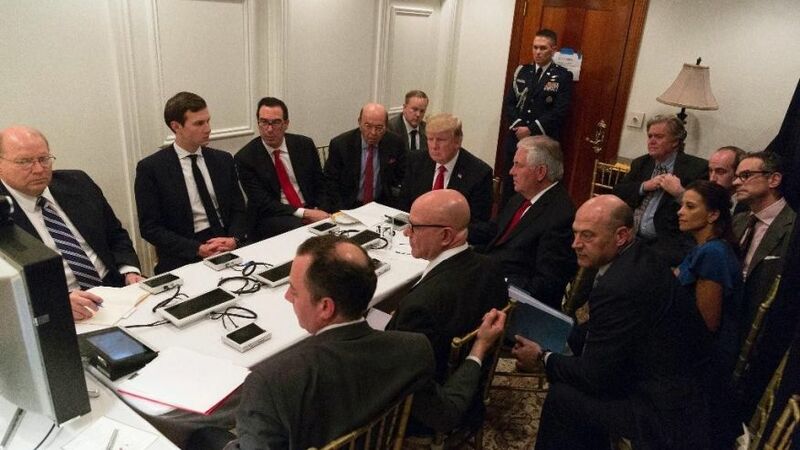 Something similar happened regarding the International Atomic Energy Agency in 2009 when Secretary of State Hillary Clinton and the neocons were lusting for another confrontation with Iran over its alleged plans to build a nuclear bomb. 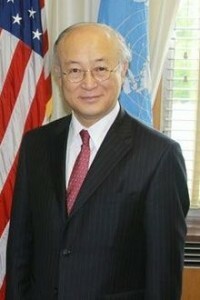 According to U.S. embassy cables from Vienna, Austria, the site of IAEA’s headquarters, American diplomats in 2009 were cheering the prospect that Japanese diplomat Yukiya Amano would advance U.S. interests in ways that outgoing IAEA Director General Mohamed ElBaradei wouldn’t; Amano credited his election to U.S. government support; Amano signaled he would side with the United States in its confrontation with Iran; and he stuck out his hand for more U.S. money. The appreciative Amano informed Pyatt that as IAEA director-general, he would take a different “approach on Iran from that of ElBaradei” and he “saw his primary role as implementing safeguards and UNSC [United Nations Security Council] Board resolutions,” i.e. U.S.-driven sanctions and demands against Iran. What Pyatt made clear in his cable was that one IAEA official who was not onboard with U.S. demands had been fired while another who was onboard kept his job. In other words, Amano was a bureaucrat eager to bend in directions favored by the United States and Israel regarding Iran’s nuclear program. Amano’s behavior surely contrasted with how the more independent-minded ElBaradei resisted some of Bush’s key claims about Iraq’s supposed nuclear weapons program, correctly denouncing some documents as forgeries. The world public got its insight into the Amano scam only because the U.S. embassy cables were among those given to WikiLeaks by Pvt. 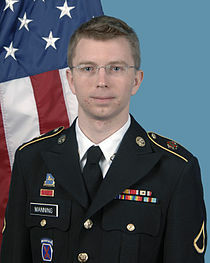 Bradley (now Chelsea) Manning, for which Manning received a 35-year prison sentence (which was finally commuted by President Obama before leaving office, with Manning now scheduled to be released in May – having served nearly seven years in prison). The existing rewards-and-punishments system, which punishes truth-tellers and rewards those who deceive the public, has left behind a thoroughly corrupted information structure in the United States and in the West, in general. Across the mainstream of politics and media, there are no longer the checks and balances that have protected democracy for generations. Those safeguards have been washed away by the flood of careerism. The situation is made even more dangerous because there also exists a rapidly expanding cadre of skilled propagandists and psychological operations practitioners, sometimes operating under the umbrella of “strategic communications.” Under trendy theories of “smart power,” information has become simply another weapon in the geopolitical arsenal, with “strategic communications” sometimes praised as the preferable option to “hard power,” i.e. military force. The thinking goes that if the United States can overthrow a troublesome government by exploiting media/propaganda assets, deploying trained activists and spreading selective stories about “corruption” or other misconduct, isn’t that better than sending in the Marines? While that argument has the superficial appeal of humanitarianism – i.e., the avoidance of armed conflict – it ignores the corrosiveness of lies and smears, hollowing out the foundations of democracy, a structure that rests ultimately on an informed electorate. Plus, the clever use of propaganda to oust disfavored governments often leads to violence and war, as we have seen in targeted countries, such as Iraq, Syria and Ukraine. Regional conflicts also carry the risk of wider war, a danger compounded by the fact that the American public is fed a steady diet of dubious narratives designed to rile up the population and to give politicians an incentive to “do something.” Since these American narratives often deviate far from a reality that is well known to the people in the targeted countries, the contrasting storylines make the finding of common ground almost impossible. 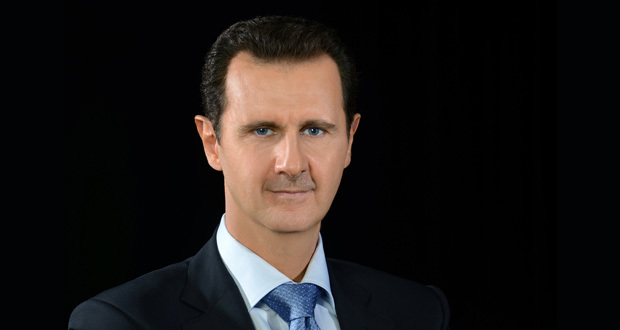 If, for instance, you buy into the Western narrative that Syrian President Bashar al-Assad gleefully gases “beautiful babies,” you would tend to support the “regime change” plans of the neoconservatives and liberal interventionists. If, however, you reject that mainstream narrative – and believe that Al Qaeda and friendly regional powers may be staging chemical attacks to bring the U.S. military in on their “regime change” project – you might favor a political settlement that leaves Assad’s fate to the later judgment of the Syrian people. Similarly, if you accept the West’s storyline about Russia invading Ukraine and subjugating the people of Crimea by force – while also shooting down Malaysia Airlines Flight 17 for no particular reason – you might support aggressive countermoves against “Russian aggression,” even if that means risking nuclear war. 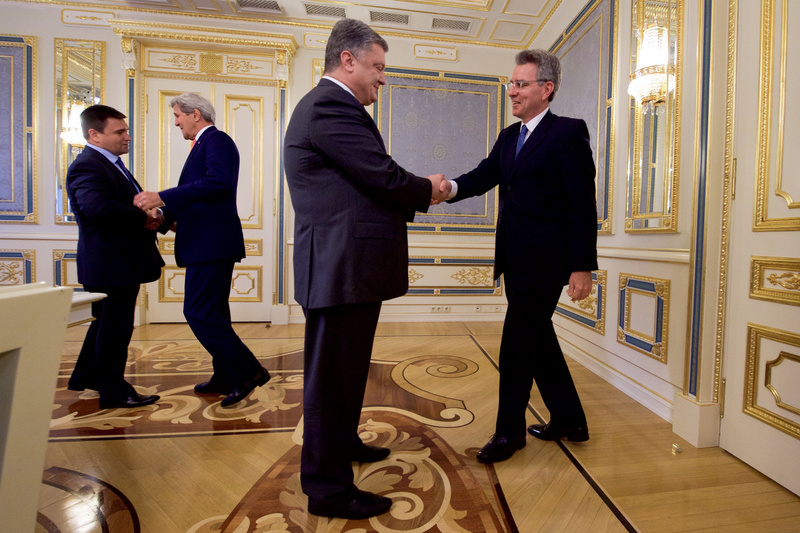 If, on the other hand, you know about the Nuland-Pyatt scheme for ousting Ukraine’s elected president in 2014 and realize that much of the other anti-Russian narrative is propaganda or disinformation – and that MH-17 might well have been shot down by some element of Ukrainian government forces and then blamed on the Russians [see here and here] – you might look for ways to avoid a new and dangerous Cold War. But the question is: who to trust? And this is no longer some rhetorical or philosophical point about whether one can ever know the complete truth. It is now a very practical question of life or death, not just for us as individuals but as a species and as a planet. 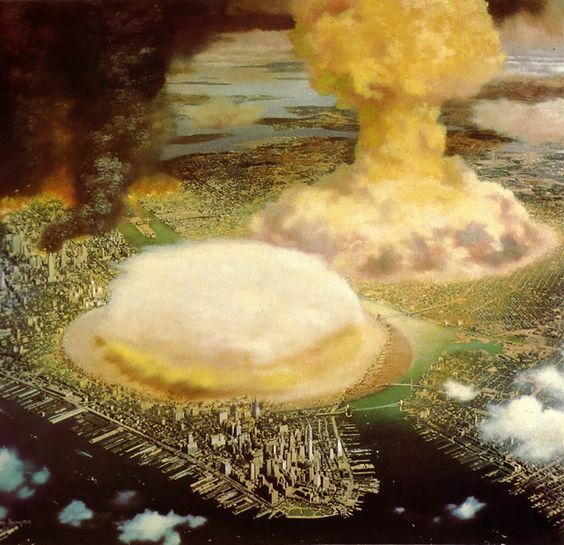 The existential issue before us is whether – blinded by propaganda and disinformation – we will stumble into a nuclear conflict between superpowers that could exterminate all life on earth or perhaps leave behind a radiated hulk of a planet suitable only for cockroaches and other hardy life forms. You might think that with the stakes so high, the people in positions to head off such a catastrophe would behave more responsibly and professionally. But then there are events like Saturday night’s White House Correspondents Dinner with self-important media stars puffing about with their First Amendment pins. And there’s President Trump’s realization that by launching missiles and talking tough he can buy himself some political space from the Establishment (even as he sells out average Americans and kills some innocent foreigners). Those realities show that seriousness is the farthest thing from the minds of Washington’s insiders. It’s just too much fun – and too profitable in the short-term – to keep playing the game and hauling in the goodies. If and when the mushroom clouds appear, these careerists can turn to the cameras and blame someone else.